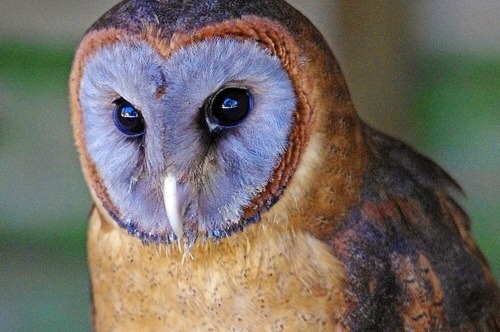 Barn Owls are THE BEST. 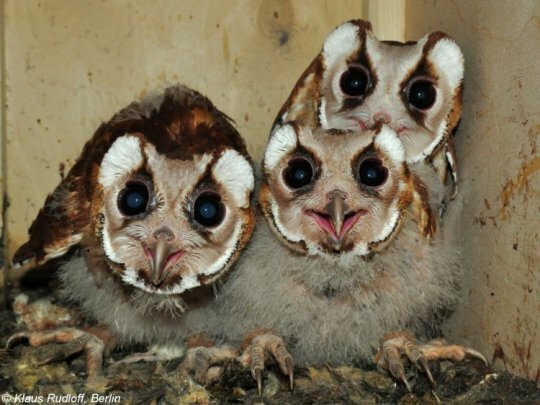 They are in a separate family from all other North American owls, and instead of whoo hoooting they do the TV STATIC SCREAM FROM YOUR NIGHTMARES. Gotta love the raptor presentations at the state parks! This was at Lockhart State Park tonight at our Master Naturalist meeting. These presenters rehabilitate injured birds of prey through Austin Wildlife Rescue (austinwildliferescue.org), an organization that always NEEDS VOLUNTEERS to help out with the adorable baby animals. If you’re in Central Texas, check them out! 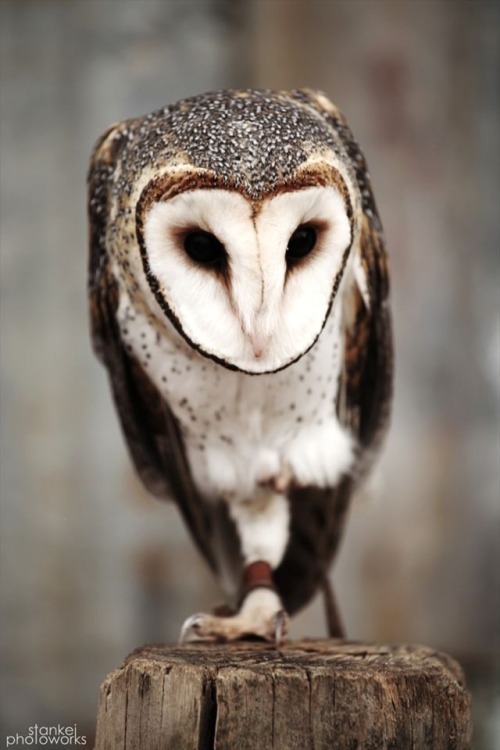 The barn owls are members of the family “tytonidae” while every other owl species is a member of the “strigadae” family. 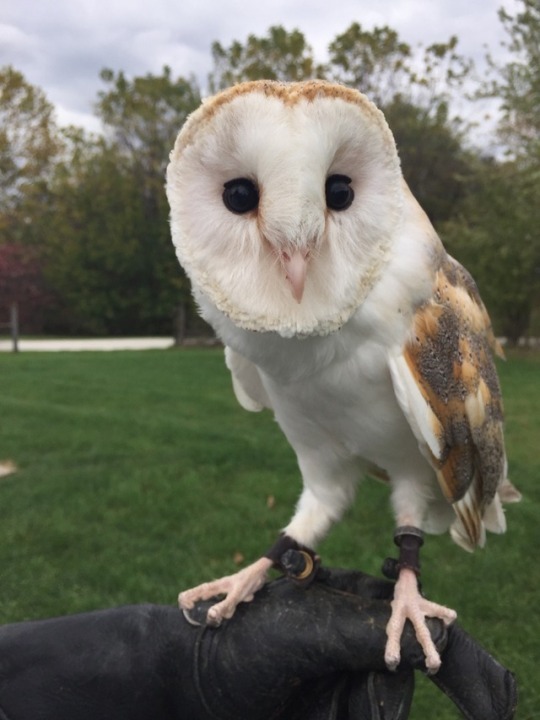 While we typically think of owls like the one in the original post as being barn owls, every species in the family can technically be considered a barn owl. And the two odd tytos out, the red owl and ashy faced owl respectively. Scientists know almost nothing about the former and no individuals have been kept in captivity despite being discovered quite some time ago. 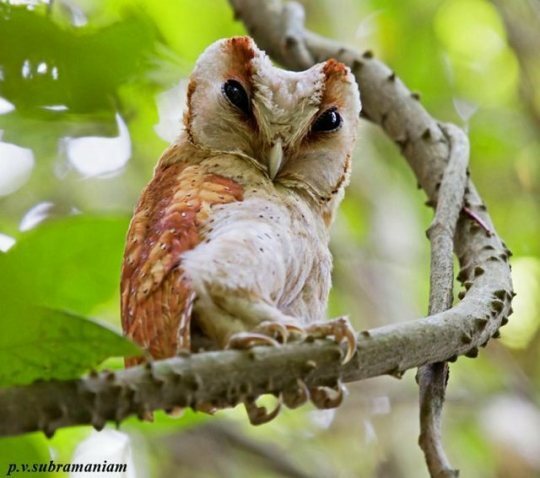 Even photographs of it are rare, but it appears to be an orange barn owl with a pink face. 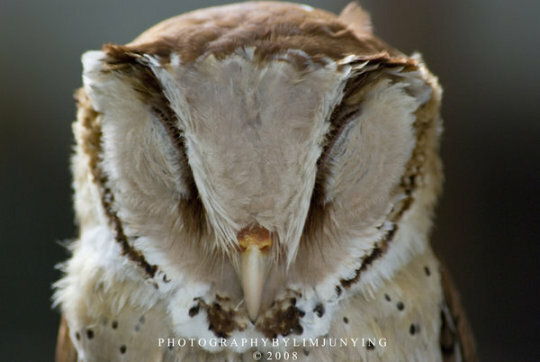 Structurally speaking, barn owls actually have very few traits in common with strigadae owls as their face and beak shapes and proportions are entirely different. 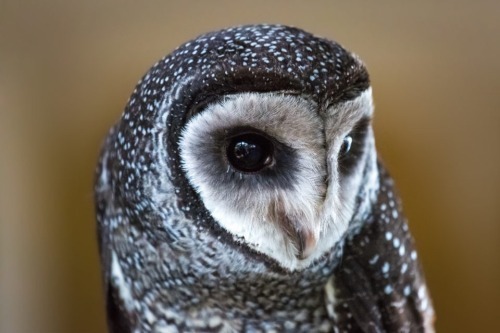 There are also differences in their legs and talons, while their similarities are limited to feather composition, ear placement, spinal structure, and binocular vision among a few other internal components. 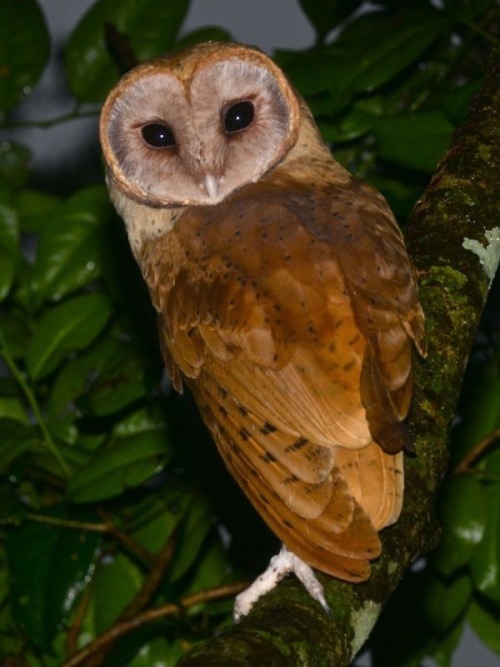 That being said, barn owls are far from the only family of non-hooting owls as hooting is almost exclusive to larger species, typically genus Strix or bubo. Many other species will trill, screech, and/or hiss. 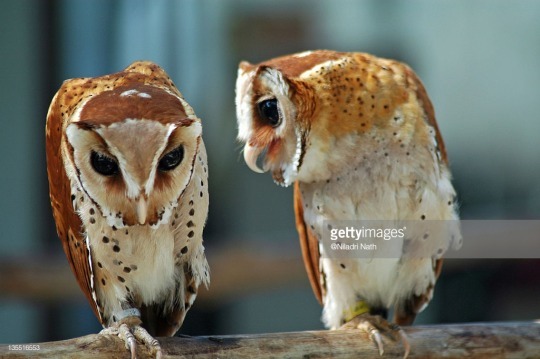 Barn owls are rather unique in having an incredibly keen sense of hearing, even in comparison to other owls. They can hear and discern between different heartbeats and triangulate the sound perfectly due to their satellite dish-like face shape. 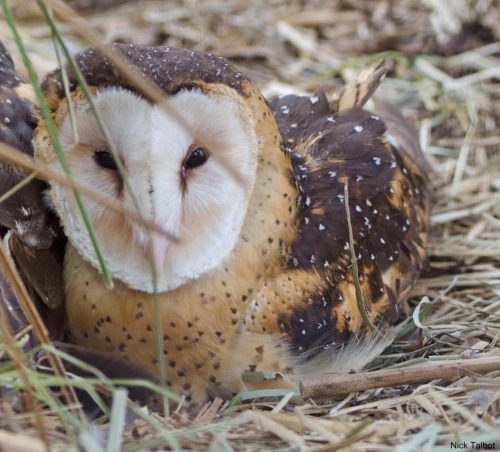 In addition, this barn owl is not actually Tyto alba, it’s a Tyto furcuta, T. alba is the species native to Western Europe while T. furcuta is native to North America. 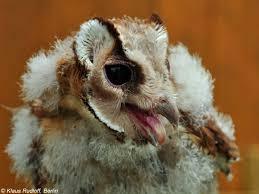 bay owls (genus Phodilus) are in Tytonidae and they are some of my favorite owls of all time. they can be found in Southeast Asia, and some sites claim central Africa as well but I’m not sure? 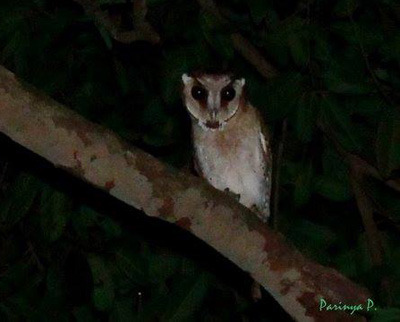 last I went looking, not a lot is known about bay owl behavior aside from general Tyto habits. I just know they’re so out there appearance-wise and I love them so much for it.